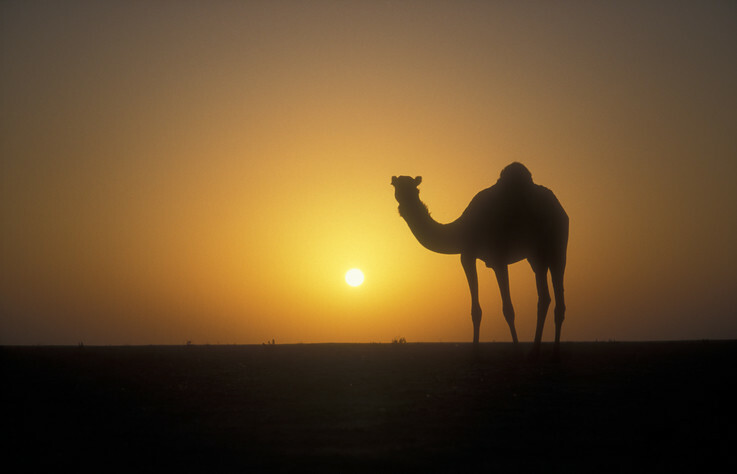 In Aramaic, the word “Gamla” or “Gamala” means “camel”, the “beast of burden” in ancient Biblical times. In Hebrew, camel is “gamal”. The mountain and city of “Gamla” was described in the first century Jewish writings of Flavius Josephus, as he was the captain of the Galilee regiment at Gamla in the 67CE Roman seige that destroyed the city once and for all. Josephus clearly indicated that the name was “Gamla”, the Aramaic name and not the Hebrew name of Gamal. The inhabitants of Gamla in the first century BCE and CE spoke Aramiac, as Gamla is in the Syriac region of “Aram”, a territory “beyond” or “East of” the Jordan River. The Jordan River bisects the Sea of Galilee on its North Shore less than 10 miles west of Gamla, with Bethsaida and Capernaum on either side of the mouth of the Jordan River. This is important for a number of reasons. I’ve already surmised that Gamla is One of the Six Biblical Cities of Refuge, from the days of Moses and Joshua. Because Josephus mentions that the rightful name of the place is “Gamla”, based on the description of its promontory that resembles the camel’s hump, I assume that the “people of the country” did not call it “Gamla” but mispronounced it, which means they thought the name had a different meaning (not the simple “camel hump mountain” explanation). The word “Gamla” is from the Semitic/Hebrew root “gamal” (גָּמַל), Strongs H1580, which in the Niphal conjugation, would be pronounced something like “geemla” or even “neegmla”. We don’t have any indication that this was the mispronunciation, but let me add some context. The root “gamal” in the Niphal means “weaned” and is used in the Hebrew Bible 10 times, usually to define when a child is “self-sufficient”, and not needing his mother’s nursing, in other words, able to provide self-sufficiency rather than dependence. Gamla was a “self-sufficient” fortress. According to Josephus it was unpenetrable except from a ridge on the East, which they had fortified, and they had a bountiful supply of olive oil, and other crops. The inhabitants of Gamla demonstrated their “self-sufficency” in life, customs, and in revolution. We have covered this in another article, Judas of Gamla and the “Fourth Sect” of Judaism – The “Zealots” and in The Case of the Missing Red-Slipped Dishes in Gamla. And Jesus looked round about, and saith unto his disciples, How hardly shall they that have riches enter into the kingdom of God! And the disciples were astonished at his words. But Jesus answereth again, and saith unto them, Children, how hard is it for them that trust in riches to enter into the kingdom of God!